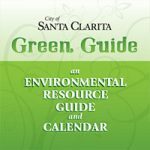 Welcome to Green Santa Clarita! The City has replaced 846 high vapor sodium street lights with induction lights in the community resulting in an annual savings of more than $49,000. To date, the annual River Rally event has removed more than 445,000 pounds of trash from the Santa Clara River. Over 91% of construction and demolition debris in Santa Clarita has been recycled, totaling over 106,000 tons. On February 11, 2019, the City began a streetlight conversion project that will swap out high-pressure sodium lights for LED lights and is forecast to reduce greenhouse emissions by 60%. The project is scheduled to be complete by Fall of 2019. The City offers programs to help residents and business owners go green in big and small ways. If you have questions or need assistance, don’t hesitate to call the Environmental Services Division at 661-286-4098.